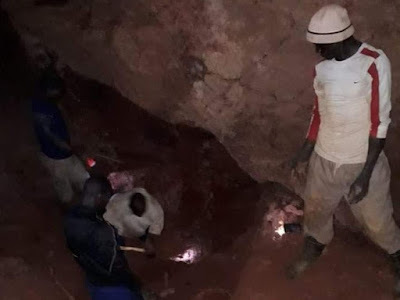 Six gold miners have been trapped after the quarry they were working in collapsed in Kenya's western Nyatike district. The victims are Ominde Achieng, Ochieng Mwalimu, Otieno Abongo, Odhiambo Opiyo, Isaiah Otwera and Pascal Ochieng. According to Macalder chief Chris Okello, the heavy rains pounding the area might have contributed to the collapse. "The miners continued working even when it was heavily raining outside, they were not aware," Okello said. Okello said when the miners almost reached the top is when the place collapsed.